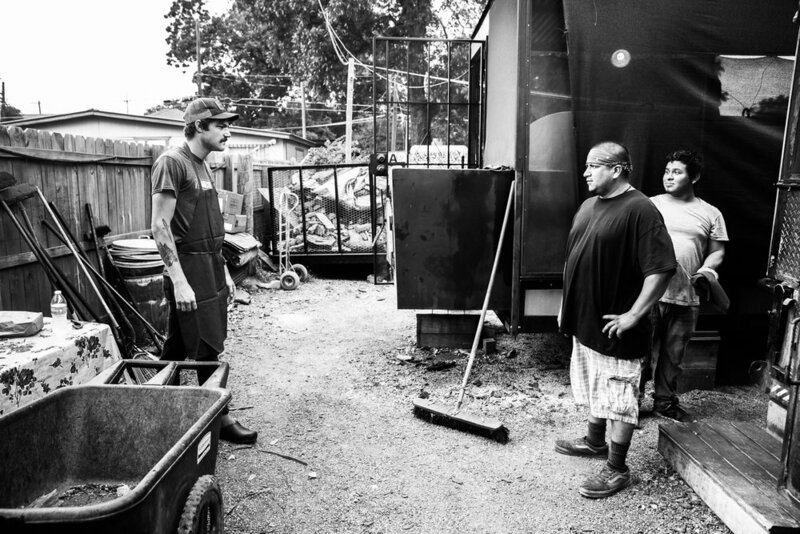 Francisco, Pit Master, Immigrant. La Barbecue, 14 May 2016, Austin, TX. The overnight shift duties and its hours are grueling. But Frank is happy to do it because it means he gets to spend the afternoons with his kids. La Barbecue, 14 May 2016, Austin, TX. 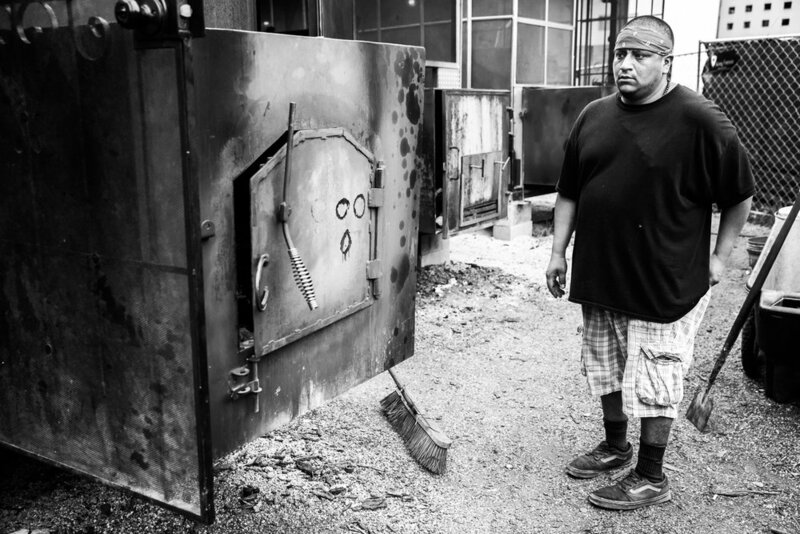 Francisco readies to stoke the smoker's fire. La Barbecue, 14 May 2016, Austin, TX. Francisco discusses the morning's shift switch plans with his co-workers. 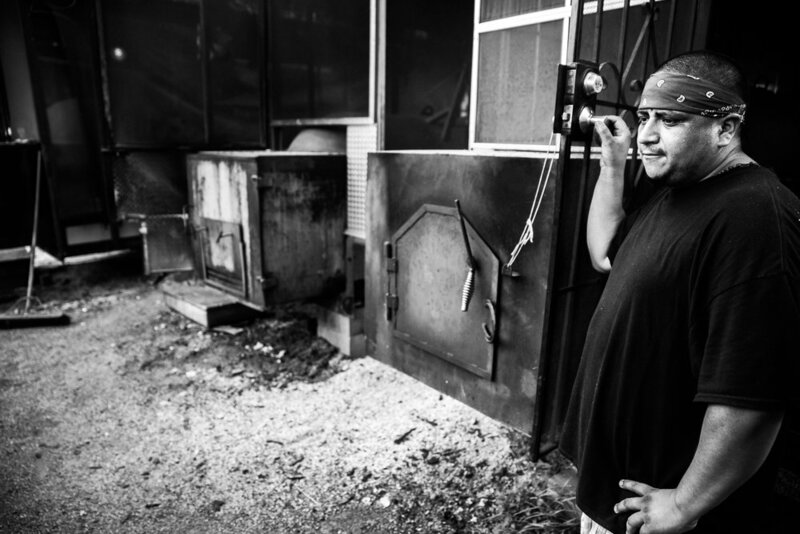 La Barbecue, 14 May 2016, Austin, TX. He can't remember where he got it. It holds no special story. He just feels that it's important to wear it every day. Francisco, La Barbecue, 14 May 2016, Austin, TX. Francisco takes a break from the heat. La Barbecue, 14 May 2016, Austin, TX.